Travel from Las Vegas to Hollywood on a luxurious Van. Join us on a scenic drive from Las Vegas to Hollywood. 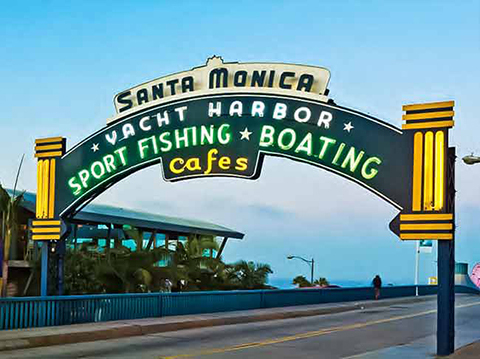 Arrive in style to the Santa Monica Pier aboard our VIP Van. Lunch will be served at a restaurant on the pier. See the famous amusement park located on the pier or stroll the beach. Drive on Sunset Blvd. to pass by homes of the stars in Beverly Hills on the way to the famed Rodeo Drive. Take a walk down Rodeo Drive and see where the stars shop. 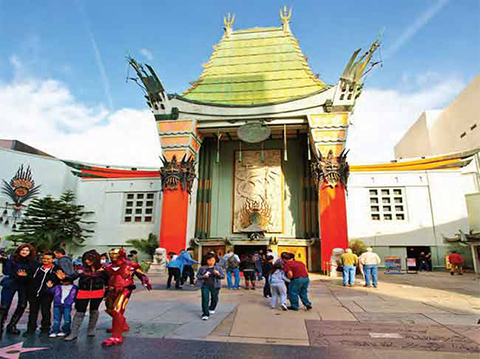 Then look out for your favorite celebrity as you walk the Hollywood Walk of Fame at the famous Grauman's Chinese Theater. Departing Hollywood view the famous "Hollywood" sign up on Mt. Lee. A great photo opportunity. 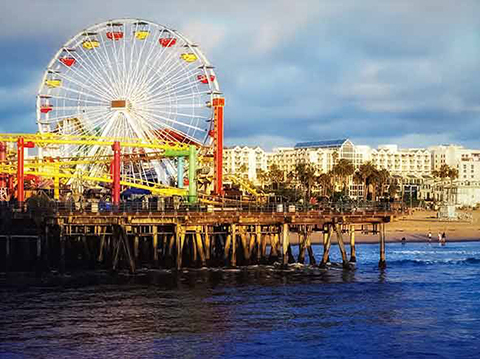 Enjoy lunch on the Santa Monica Pier and take time to see the sights on the pier or stroll along the Santa Monica Beach. Sunset Boulevard is a Hollywood icon that stretches from Downtown Los Angeles Figueroa Street to the Pacific Coast Highway. This glamor street of Hollywood shows off the celebrity culture and is the center of the Los Angeles nightlife. Rodeo Drive is the center of Beverly Hill's shopping district known for designer fashion shops. Hollywood Walk of Fame consist of more than 2,400 five-pointed terrazzos and brass stars embedded in the sidewalks along fifteen blocks of Hollywood Boulevard. An average of two stars being added each month. Go back in time as you read famous names of the past. Grauman's Chinese Theatre is on the historic Hollywood Walk of Fame. Built on May 18, 1927 this landmark bears the signatures, footprints and hand prints of popular film personalities. Hollywood Sign is a landmark and American icon. Each letter is 45 feet tall and the word spans 350 feet long. 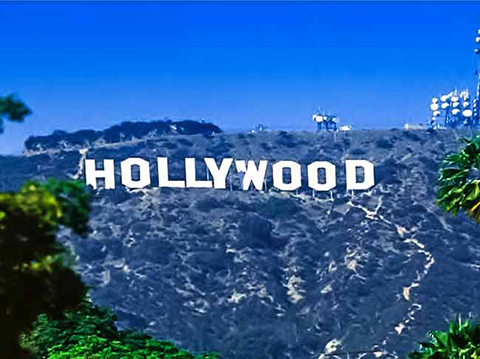 See Hollywood Blvd., Hollywood sign, Hollywood Walk of Fame, home of the stars, Rodeo Drive, Sunset Blvd., Gauman's Chinese Theater and Santa Monica Pier. 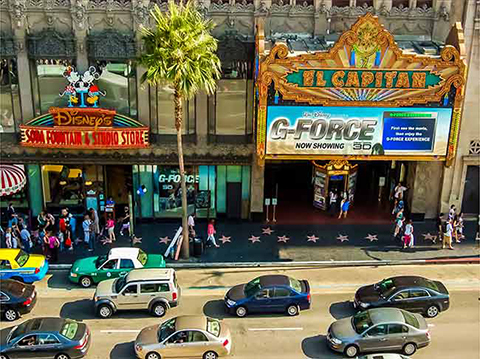 Explore the famous sites of Hollywood and walk where the stars walk on the Walk of Fame.